Note: This article originally appeared on CIOUpdate.com February 12th, 2008. Republished with permission. February 12, 2008: While IT has provided huge gains in productivity, it’s time to revisit the issue, writes CIOUpdate columnist Richard Martin of Alcera Consulting. The human resources future looks bleak for the IT industry. Why? Because of a lack of skilled labor. That’s right. Companies and governments are coming to grips with the impact of the demographic shift on their ability to attract and retain technological talent. A recent report by the Conference Board of Canada, written at the request of Bell Canada, the country’s largest telecommunications company, pointed out that a number of factors are at play: the aging population, declining birth rates, and retiring boomers. The most worrying trend of all, however, is the decline in enrollment in IT programs at the post-secondary level. Major companies in Canada are so concerned by the situation that they have formed a coalition under the leadership of Bell Canada to rebuild the pool of skilled IT workers in Canada. I recently attended a presentation where a senior Bell Canada executive announced this initiative. He pointed out that this situation is not only prevalent in Canada, but is increasingly felt in all developing countries. He also noted that the impact on productivity is potentially enormous. The failure to fill vacant IT positions in the next five years or so could cost up to $ 10 billion to the Canadian economy. Imagine the cost for larger economies such as Japan, the U.S., the U.K., and Germany. Already we can hear the clarion call to encourage young students to enroll in IT programs and to increase immigration of skilled workers. The most advanced countries, Germany, the U.S., and the U.K., have already taken steps to encourage this type of immigration. The U.S. has long been the rich kid in this regard, because of the magnetic appeal of Silicon Valley for ambitious geeks from India, China, South Korea, the Arab world, Canada, and Europe. However, there are indications that the booming economies in India and China are leading their abundant youth to stay put. Global competition for skilled labor will only exacerbate the costs of filling these positions. Because they came of age as the great dot-com bubble burst, kids just out of high school also realize that employment in the IT industry can be just as fickle as in any other. They would also rather apply their creativity as IT users than as IT creators. While immigration and university enrollment provide part of the solution, there is a need for a long-term fix. I believe the fix starts and ends with the same approach that has always saved our economic hide in the past. Simply put, we have to make knowledge work, and particularly IT work, much more productive. We live in an era when, depending on the measure used, knowledge workers make up more than 50 % of the active population. As Alvin and Heidi Toffler point out in their book Revolutionary Wealth, even machine operators spend most of their time monitoring computers. Our most productive industry of all, agriculture, is dominated by knowledge work, and that means farmers sitting in front of computers, manipulating data over wireless networks and communicating with tractors in the field by satellite link. The Associated Press reports that new technology—everything from self-serve information kiosks and self-serve checkout machines—has a major impact on productivity in the retail sector. In the U.S., this has translated to 4.5 million less jobs in retailing than if the technology had not been introduced. These trends give an inkling of the productivity gains that are possible though information technology. However, someone has to program and maintain these computers and associated networks and applications. Unfortunately, so much of this work is still mired in mindless drudgery and woefully inefficient. Moreover, end-users are still forced to wade through poorly designed and complex applications in order to carry out the most mundane tasks. While the IT industry has enabled massive productivity gains in other sectors of the monetary and non-monetary economies, we have yet to witness a concomitant increase in productivity in the IT sector. I try to enter my address to sign up for a service online. The database field has a limited number of character spaces, and the name of my town is too long by a significant margin. The server repeatedly refuses my attempts to get around this limitation. I end up having to call and speak to a human being who then struggles in her turn with the database. In the end, she overrides it and puts in a much-shortened version of the name of my town. This took about 30 minutes of my time (45 minutes with the phone wait), and about 15 minutes of the help attendant’s time. Total combined loss of work time for two smart people: 1 hour. I move province and change car insurer. As part of the process, the new insurer sends an advisory to the lease financing company (Ford Leasing). One month later, I get a letter from the leasing company advising me that the insurance information needs to be updated. I call them up and tell them that the insurance broker sent the information one month earlier. They tell me they have no record of that in their database. I re-fax them the insurance information, and so does my insurance agent. About a month and a half later, the same thing happens again. We go through the process again. I’m going to cut this story short, because we had to resubmit the insurance information four times in total, most recently about a month ago. I spoke with my insurance agent about this and she tells me this is a common occurrence, not just with Ford Leasing, but also with a number of other companies. I estimate the total work time lost over a six-month period by at least three smart people at about three hours. I could go on with this litany, but it’s tedious and quite discouraging (and I’m sure we’ve all been through it more than once). We now live in societies that are awash in data and information, where we can find out about any topic we wish, whether through Google, by buying an obscure or out-of-print book on Amazon, or by looking it up on Wikipedia, yet the organizations handling our personal information seem unable to do so productively, efficiently and effectively. I’m not even getting into the fact the most of the software running our networks is hopelessly complex and labyrinthine. It is no wonder we aren’t able to attract enough people into the IT field and also that we simultaneously misemploy them. What are some of the solutions to this productivity challenge? I don’t pretend to have the technical know-how to resolve the problems, but I can propose some ideas for how we might improve the situation, and thus free up smart people to be real knowledge workers, i.e., using computers to do something interesting, rather than computer and network servants. I think the first possibility somehow revolves around the organization of the information and data. There is no lack of information. It just seems hard to access and to ensure it is reliably warehoused for future reference. The two examples I gave above are actually instances of this problem. The solution may reside in the counter-examples I provided. Google and Amazon provide access to enormous amounts of relevant information, one through the Web, and the other through its proprietary databases. What’s more, they seem to do it effortlessly. Indeed, according to a recent article in Business Week, Google, Amazon, and Yahoo have started to make their “computing clouds”—armies of remote servers—available to outsiders, in some cases commercially. IBM has agreed to team up with Google to create clouds for a number of top-notch academic institutions that will help to crunch mountains of data for research purposes. The obvious implication is that automation of research functions traditionally carried out by the researchers themselves, or simply not done because of the apparent intractability of problems, will now be carried out automatically, thus freeing the researchers to focus on higher value-added tasks. What would happen if this artificial intelligence based paradigm were to extend to all forms of knowledge work? Knowledge workers could use computers and intelligent networks running advanced problem solving algorithms to put better information at their fingertips. Help desk attendants would have access to intelligent software agents that can resolve issues based on questions by users. Better yet would be data and information collection systems that end users could interact with directly. If a town’s name is longer than average, the application would be flexible enough to recognize that and self-adjust, even learning in the process. The same types of algorithms that are used by Google and others to adjust and personalize Web ads could be used to personalize user interfaces by various categorization schemes such as demographics, usage patterns, and work needs. This also leverages the fact that consumers and system users increasingly prefer to do their own purchasing and other functions directly, without the involvement of intermediaries. The productivity improvements of extending the Amazon shopping paradigm to a vast array of economic and work-oriented functions are potentially huge. This leads to a second possibility for increasing IT productivity. Companies and other organizations would do well to give as much flexibility and control as possible to consumers. This entails better software design, more advanced artificial intelligence, more ergonomic interfaces, superb systems integration and absolute ease of use. These technological advances would attract and retain more customers, and also reduce the need for skilled or semi-skilled workers to maintain systems and interact with customers. The best example of this vision is, of course, how Apple has managed to create extremely powerful consumer applications that wonderfully integrate hardware, software, and intelligent functionality. Just look at Time Machine, the new backup utility in Mac OS X Leopard. You plug in the backup device (e.g., an external hard drive) and select it in a menu that pops up automatically. Voil‡! You’ve set up your computer for home backup. If you need to access backed up information for whatever reason, you just click on the Time Machine icon on the desktop, and the screen changes to a depiction of the file finder application at various points in the past. Select the time point you want, select the file you want, and it is automatically restored. What if networks and databases could be configured, maintained and accessed using analogous approaches? Organizations could then redirect programmers and systems administrators to higher value added tasks and functions. Users would interact directly with applications and gain greater control over their data and information. We have to start thinking of how to make IT work as productive as possible, not just for the end user, but also for the masses of programmers, analysts, system administrators and network managers. These are only initial ideas of how computers and networks could be used more productively. The need is already great, and will only grow greater in the years ahead. If we don’t start acting now, then we will be in an even tighter squeeze down the road as the changing demographics of advanced societies make workers even more of a rarity. The IT sector has benefited from its novelty and the challenge it offers to creative young people for decades—ever since the invention of the PC really—but now it must face the demographic music just like every other sector of the economy. Increasing the productivity of knowledge work is a necessity, but drastic increases in the productivity of IT work are even more critical to our continued economic growth and to creation of wealth and quality of life.  Richard Martin is president of Alcera Consulting, a management consulting firm that helps individuals and organizations to thrive in the face of rapid change and uncertainty.